Published in hardback, paperback and e-book by Allison & Busby, large print and audio by Magna. The second of Tania's 1950s sagas, set in Plymouth and on her beloved Dartmoor. The future seems rosy for Plymouth schoolgirl, Anna Millington, as she studies for her A-levels in order to qualify for teacher training college. But Anna's life isn't all that it appears. Her family hides a cruel secret that resulted from the worst night of the Plymouth Blitz back in 1941, a night Anna remembers all too well as a small child cowering in a bomb shelter. Now, in 1954, the devastating consequences erupt again in tragedy. Anna fears for her own safety and feels forced into abandoning her aspirations to a successful career. Leaving behind her dear friend, Ethel, Anna escapes to nearby Dartmoor of which she has fond memories from when she was evacuated to Tavistock after the bombing raid that was to change her life for ever. But will her return to the moor bring her hope? Along the way, Anna encounters various other victims of fate who have their own secrets to tell. Will they all have the courage to seek out the happiness they deserve, and will Anna be able to help them – or herself? 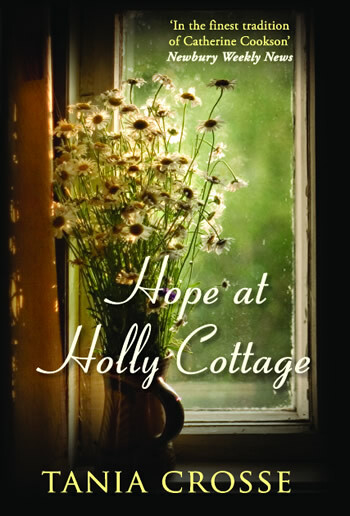 An endearing tale of warmth and friendship, love and hope set in the city of Plymouth and the wilds of Dartmoor in the 1950s.